Are you a personal trainer or fitness instructor working with moms? Do you want to work with postpartum populations? Do you work with moms and babies in health coaching? Do you want to truly change lives and build your business? 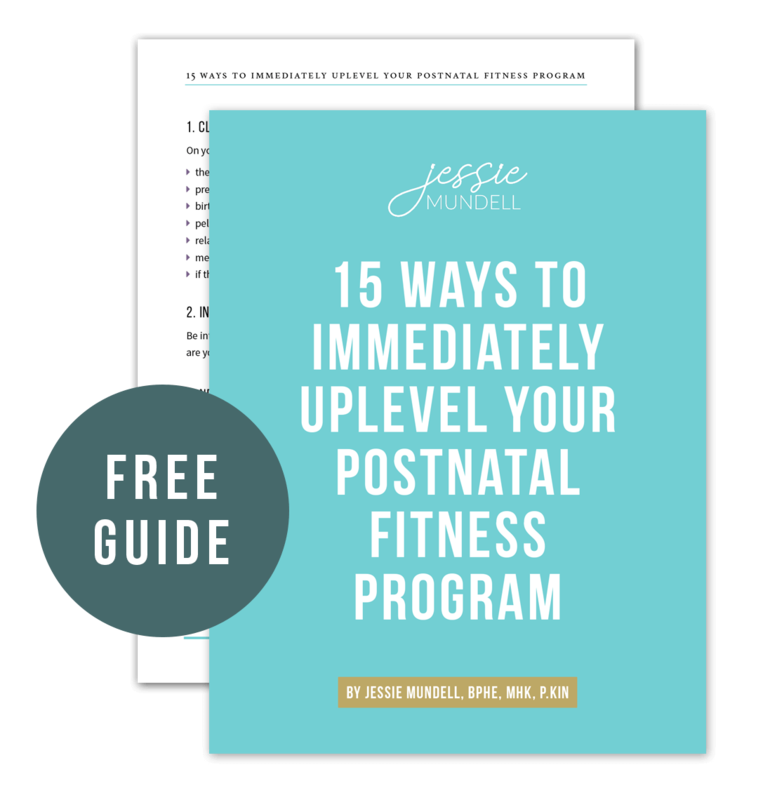 Get your FREE download: 15 Ways to Immediately Uplevel Your Postnatal Fitness Program. I’m giving you 15 quick tips you can take action on right now to make a big impact for your clients and return in your business or practice. Your mama clients will notice the difference in your coaching strategies, your language, and your programming. Be a leader in this field. Enter your name and email address below and we’ll send you the free guide right away! I want my FREE download!